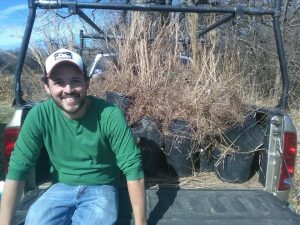 Bio: Jonathan Garcia is a Research Technician in the Urban Entomology Laboratory at Texas A&M AgriLife – Dallas. He has co-authored multiple research papers to which his contribution is primarily experiment design and implementation; research studies include termite, bed bug and other arthropod management tests most notably a relatively new exotic pest called the Crape Myrtle Bark Scale. Jonathan has been an active member of the North Texas Chapter of the Texas Master Naturalists since 2015 with over 200 hours of volunteer service and advanced training including attending Master Entomology Volunteer training in Fall 2017. Jonathan received an Associates of Science from Dallas County Community College District in 2015 and is currently a Senior at the University of North Texas where he expects to earn a Bachelor of Applied Arts & Science degree focusing on Biological Sciences and Public Administration.